"Back in the spring of 2014, I hosted a number of community meetings and charettes in conjunction with the Chicago Department of Transportation (CDOT) designed to receive your input on improving the Broadway/Lawrence commercial corridor. 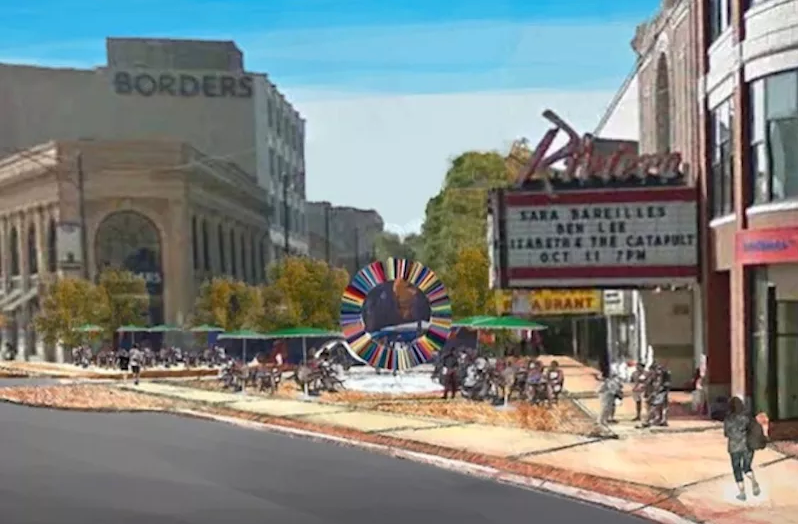 Those meetings informed the plans for a $6 million streetscape project in the heart of the Uptown Entertainment District that will begin in the next two weeks. Phase one includes Broadway between Leland and Gunnison Street, and Lawrence Avenue between Broadway and the Lawrence CTA Red Line Station and consists of numerous improvements including full-width resurfacing, new sidewalks, new lighting, new crosswalks, community identifiers, and a pedestrian plaza at Racine. This first phase is expected to be completed in the summer of 2018. See more information here. Phase two will include Broadway from Wilson to Leland after the final Wilson 'L' Station renovations are completed in December 2017. This phase of the project will start in the spring of 2018. All of the changes in this area, including the new Broadway streetscape, the new Wilson L Red/Purple Line station, increased economic development, and new businesses along Wilson and Broadway have happened through careful planning over the last six years. I'm so proud to see the fruits of our efforts to make Uptown a stronger community." Not something I would spend money on. I use to live just a couple of buildings down from the Riviera Theatre, on Racine. It is great to see this neighborhood getting modernized and cleaned up. It was interesting, to say the least back 20+ years ago, when I lived there, especially on nights that there were shows at the Riviera and Aragon. This is very exciting for those of us who have invested and live in Uptown. Alderman Cappleman has a great vision to return Uptown to the grandeur of many years past. We need to address the homeless under the bridges. They are victimized living there and have no future. Plans to provide them housing and support are also exciting. Many praises to Alderman Cappleman! it would be nice if we could bring back the borders or a similar store. 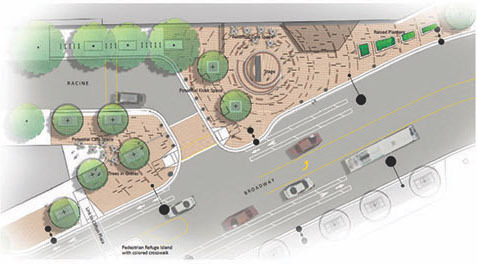 I hope part of the plan includes doing something about the sidewalk on the south side of Lawrence, as it crosses the alley between the el and the bank building. That is treacherous going. Good call. Additionally, the city (see Pawar and Cappleman) should work together on the stretch of Lawrence between Magnolia and Clark. It is the gateway connecting Uptown, Ravenswood, and Andersonville and it never gets any love. Install the new Uptown/Sheridan Park banners along that stretch, regularly weed and equally maintain the end cap gardens on Magnolia, Malden, Beacon, and Dover, and send the city cleaning crews along that stetch regularly to pick up the filth. Regarding the filth, make that stretch of Lawrence pay parking for theater/entertainment crowd so that people are no longer camping in their cars and leaving their associated rubbish, broken bottles, needles, surgical gloves, fast food trash, condoms, diapers, etc. That would be a big step for Uptown,it is our back yard and should be treated with respect. WOW 6 Million of tax payers moneey. I guess budgeting for more money towards the essentials isn't the proper thing to have done. I guess more LEO, funding CPS, and improving the homeless issue is less on the agenda. 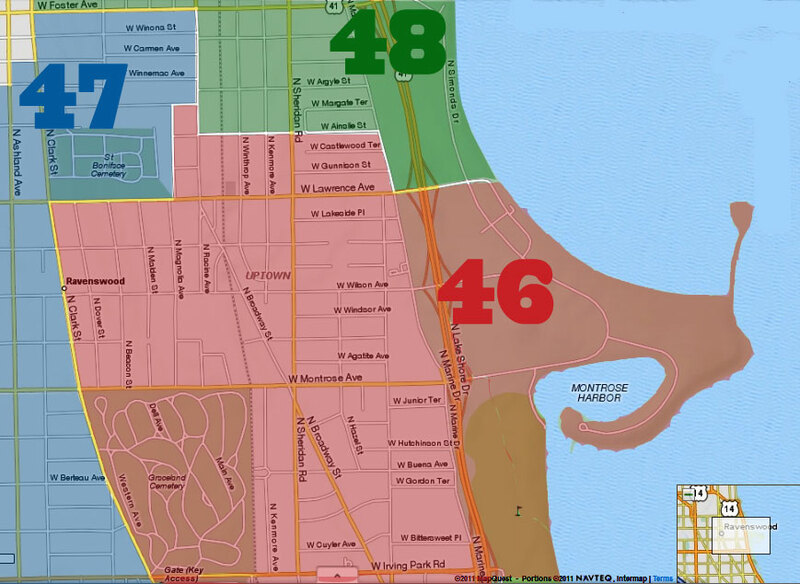 The school systems in Uptown are some of the lowest producing and attending in most of the City. I guess a nice art area will force the gangbangers to go somewhere else ana allow for all the people to fill safe. NOT, but Cappy thinks this way. It is simple. Share the homeless burden with rest of the city and you need a tax base for your schools. Development creates this base, base creates demand, and demand and tax base foster good schools. 6 mil is a good investment here because it is a step towards the necessary development. That wouldn't buy squat for the cps. If you are angry, be angry at that clown Rauner. The city cries broke and no money for schools. But we have money for this ?!? @alderman cappleman. Get your priorities straight. Chicago and the entire state have a spending problem. Finally. 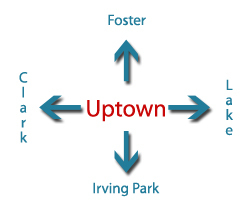 I designed my "Uptown Circle" street marker 2 or 3 years ago. I had almost forgotten about it when I got Cap's email blast (which curiously didn't mention my name although Cap was there when we presented it.